Over the past 15 years I’ve been working on a project that pairs my writing with my paintings to re-create prayer from an inclusive, nonpatriarchal perspective. 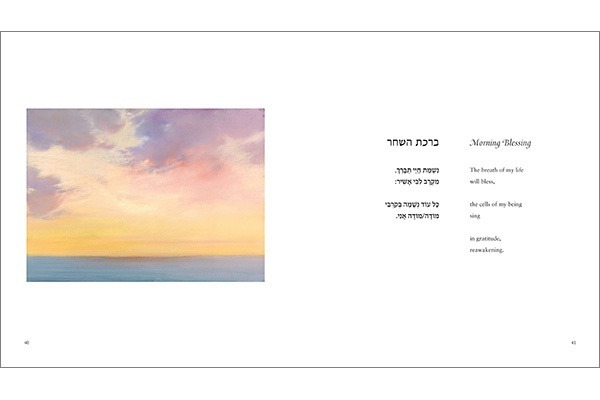 Inner East: Illuminated Poems and Blessings arises out of my deep convictions as a feminist Jew, but it is not intended only for women or only for Jews. I do not write prayers for a single gender or group; my goal is to offer words that are inclusive and welcoming. I write as a poet because I believe that poetry is the most direct path to the heart. Like my several collections of meditative poems and blessings published by university and trade presses, this new project, which I am self-publishing, offers fresh language for the prayer of the heart. But it also goes a step further, accompanying the words with visual art to create a “dialogue” that reaches beyond the limits of verbal expression to deepen a prayerful state. I hope that Inner East will speak to everyone who is looking for new ways to enrich their inner lives. Because I am self-publishing, I’ve had the rare opportunity to work directly with excellent professionals—book designer, editor, typesetters—to bring to life my ideal vision. Inner East is now ready to be printed as a fine-art book, which will cost $10,000. But, having spent thousands on production costs so far, I’ve broken my piggy bank. This is where I’m hoping you will come in. If this fundraiser attracts $7,500 in donations, I’ll be able to move forward and Inner East will become a reality at last. Donations of any amount will be deeply appreciated. Those who donate at least $50 by August 15 will be acknowledged and thanked by name inside the book. Angels, Seraphs, and Best Friends will receive personally inscribed copies. I plan for Inner East to be available within four months of reaching its fundraising goal. You’ll be notified by email when it’s out and where to find it. You can also check my website for updates. View more sample pages at http://www.marciafalk.com/innereast.html . 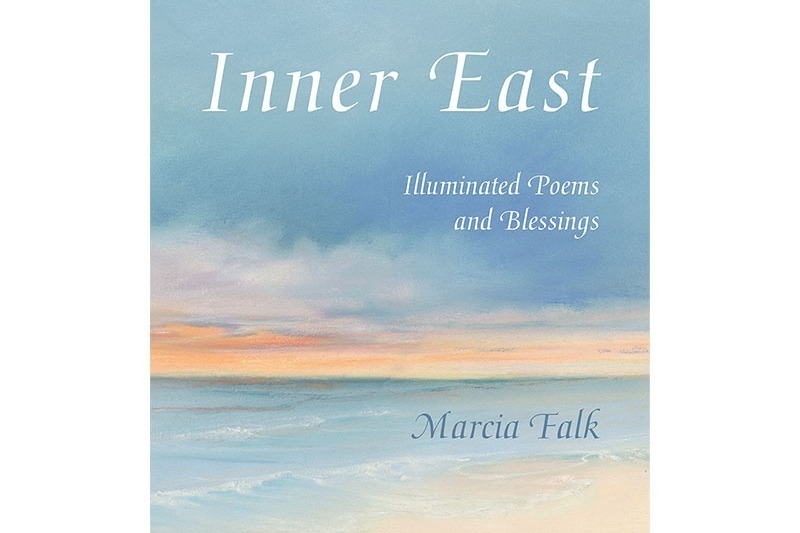 Marcia Falk is the author of several books of highly acclaimed poems and translations, including The Song of Songs: Love Lyrics from the Bible. 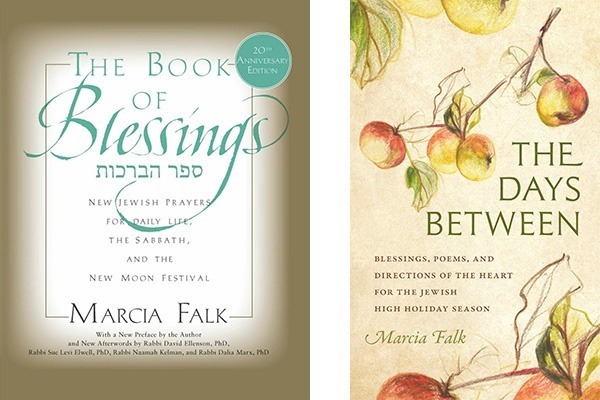 Her books The Days Between and The Book of Blessings: New Jewish Prayers for Daily Life, the Sabbath, and the New Moon Festival have been acclaimed as "full of timeless spiritual wisdom, eloquently signaled in concise lines" (Read the Spirit). Marcia is also a life-long painter and a Life Member of the Art Students League of New York. 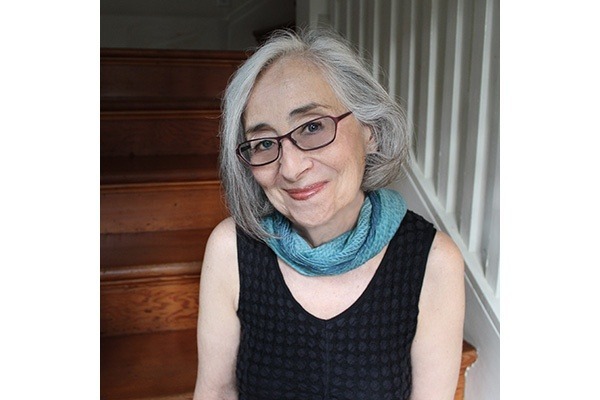 Her work has been exhibited in juried group shows and solo shows at galleries and universities across the country and in Israel. You may have received a letter from me containing some of this information. If so, please excuse the duplication. Please send your check to my home address; if you don't know my address, email me directly or through my website, marciafalk.com, and I'll send it to you. Along with your check, please indicate the address where you want each book sent, and tell me whether you would like it inscribed to someone in particular. I hope you will enjoy Inner East, which so many of you have made possible, and that your Chanuka will be filled with extra light this year! IT'S HERE! Yes, INNER EAST has just been delivered to my doorstep. Thank you so much to all of you who made this publication--my dream--possible. If you'd like to have copies delivered to YOUR doorstep, please email me directly or through my website, www.marciafalk.com, and I'll send you ordering instructions. The price of the book is $30, plus $5 shipping and handling within the U.S. (Email me for the cost of shipping abroad.) SPECIAL PRICE FOR DONORS: Between now and December 1, you can purchase copies for $20, plus $5 shipping and handling. I have kept the campaign open in order to bring you this final update. The campaign will close in a few days. Please stay in touch through my website or email. I'd love to hear your reactions to the book. Thank you, all, again and again! I hope you will enjoy the fruits of your generosity. I am so happy to report the news that Inner East is now in the process of being printed, and I will have books in hand within a month. It's looking beautiful! Thanks to your wonderful generosity, I was able to work intensively with a first-rate printer, putting the book through multiple rounds of back-and-forth proofings to make the colors accurate and vibrant. And because your donations surpassed my original goal, I was also able to keep the price very reasonable and to offer a discount to all donors. Donors will be able to purchase as many copies as they wish between now and December 1 at a discount of 20%. Watch for a letter from me with all the details, which I'll be sending you shortly. You've made my dream a reality--Inner East will be off to the printer ​shortly ​after Yom Kippur. Thank you for making this joyous event come to be. Once I have a publication date, I WILL BE OFFERING THE BOOK TO ALL DONORS AT AN ADVANCED-SALE DISCOUNT. I'll be closing the GoFundMe campaign soon, and once it's closed I will no longer have a way to reach you through the GoFundMe website. I am now creating an email list of donors so I can write to you directly and send you updated information about the book's publication, including how to place an order at a discount. You can write to me through my website, www.marciafalk.com, or directly to my email address (which is my first and last name, with no spaces, at gmail.com). Thank you once more for your loving support of my work, which has made the start of my new year a very joyful one. G'mar hatimah tovah--may it be a fulfilling and fruitful year for you and yours!